The Engineering News Record awarded Wendel a Best Projects Award of Merit for the Seneca Buffalo Creek Casino project in the Sports/Entertainment category. The project was chosen from just under 60 entries submitted for the New York competition. 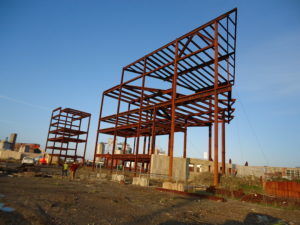 The casino project incorporated unprecedented standards for steel reuse after the casino’s half-built skeleton stood dormant in the unpredictable and tumultuous Western New York weather for four years. Innovative thinking and determination to deliver the highest level of quality to the client while saving time and money were key elements to the project’s success. Seeing an opportunity to contribute to the future value of engineering, Wendel wrote the book for standards of steel exposed to the elements beyond the typical construction timeframe of six months with input from the American Institute of Steel Construction. 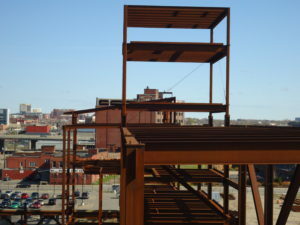 This project was also part of a greater development initiative for the Inner Harbor District of the City of Buffalo. 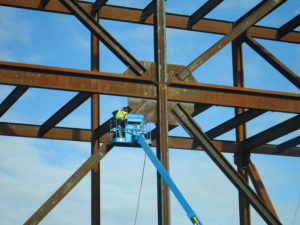 This area is currently experiencing more than $1 billion worth of ongoing construction and the Seneca Buffalo Creek Casino is one of the anchoring elements aiding with eastern expansion of this rapidly growing urban environment.